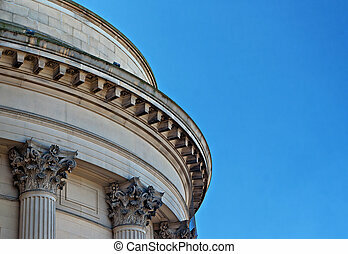 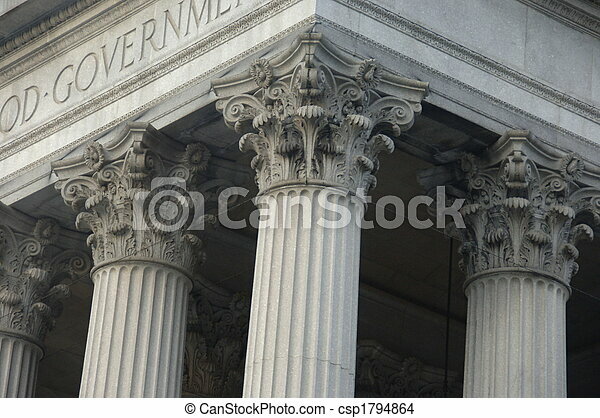 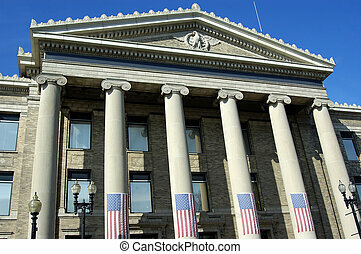 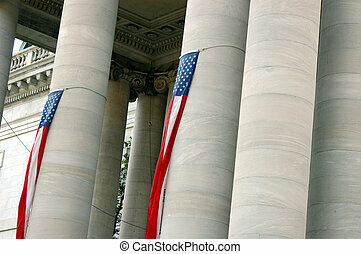 Corinthian columns on a government building in new york city. 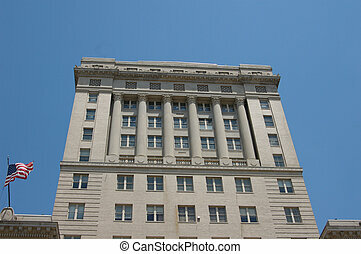 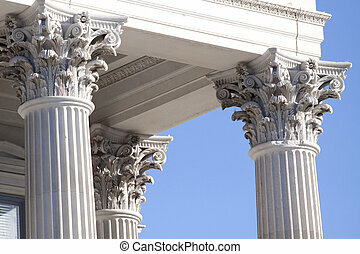 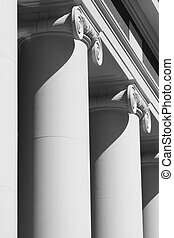 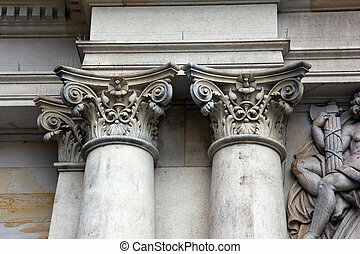 Architecture Pilaster composite style, Corinthian columns on a building facade. 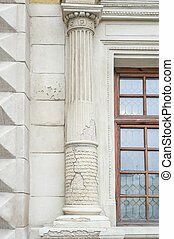 old columns on a building with a crack. 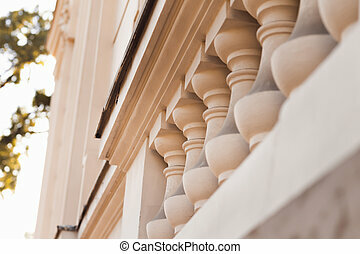 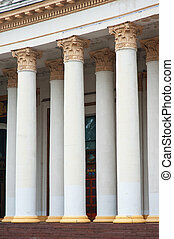 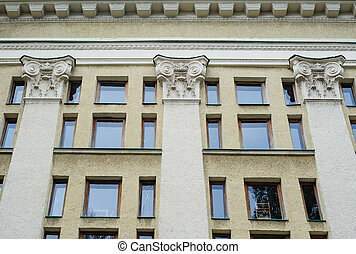 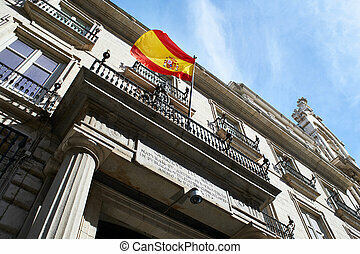 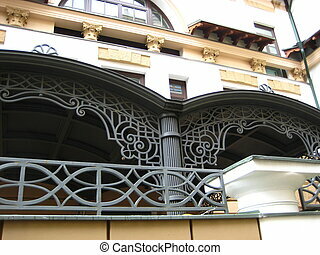 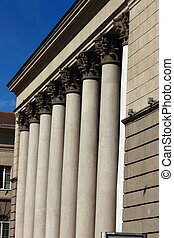 architectural columns on a old historical building facade. 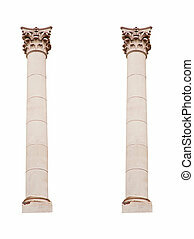 columns on a white background.